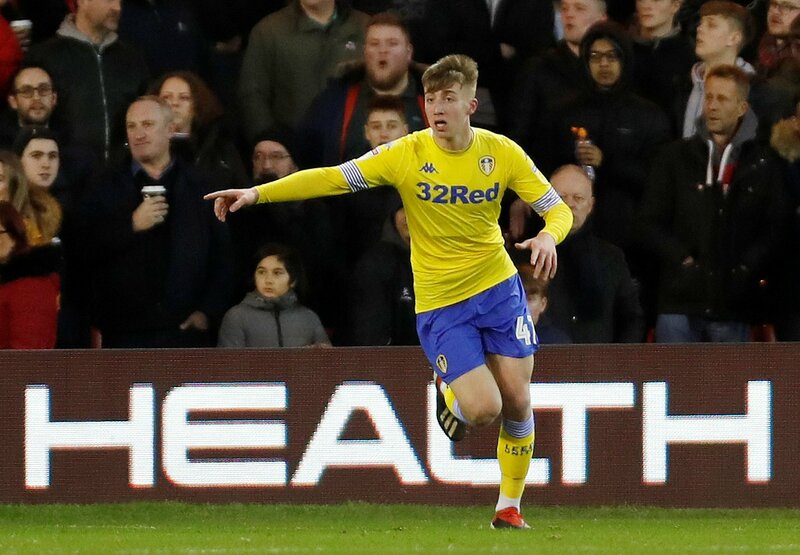 Mauricio Pochettino is not convinced by Jack Clarke or Jarrod Bowen, despite his Tottenham squad needing to add to their homegrown quota. A report from the Evening Standard highlights that Spurs have exceeded their overseas quota in the Champions League, meaning Pochettino needs to add a homegrown player. Clarke has been linked with a move to North London by Sky Sports, after impressing for Leeds under Marcelo Bielsa. The 18-year-old winger has two goals and two assists to his name so far this season, despite only breaking through at Elland Road back in October. Bowen is perhaps the Championship’s most dangerous winger at this stage, having scored 14 goals and registered three assists from out wide. He too has been linked with a move to Spurs. However, the Evening Standard’s report claims that Pochettino isn’t convinced by the young duo, despite their impressive form in the Championship in recent months. According to the Yorkshire Evening Post, Leeds have already fielded interest in Clarke from Crystal Palace, but the promotion-chasing Whites are adamant the winger isn’t for sale. Hull also stated earlier in the month that Nigel Adkins’ key men wouldn’t be sold in the coming month. Clarke and Bowen are certainly good talents, but they are players for the future and they might not impact Spurs’ first-team right away. For that reason, it’s easy to understand Pochettino, who needs players to impact his side right now, particularly with the injuries that are mounting up against him in North London. For the fee either would cost, money would be better spent elsewhere.